Enjoy cozy warmth on Winter days and distinctive luxury all year long in this transitional home. 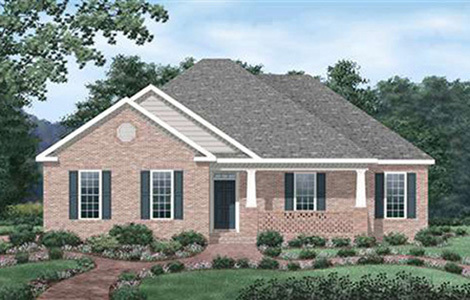 Three bedrooms, two full baths, and lots of features aim to please: Sheltered front porch with low brick wall. The family room and dining room, arranged around the kitchen�s serving counter, offer views of the back yard. French door admits ambient light and provides access to the back porch. 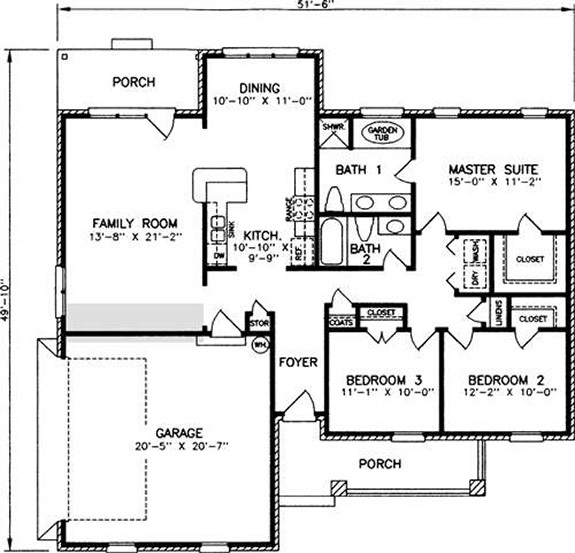 Master bedroom has a walk-in closet and a private bathroom with a garden tub, separate shower, and double vanity. Another full bathroom for bedrooms 2 and 3 is convenient to the main living areas. Extra closets offer storage for coats and linens, and a washer/dryer closet lies near the bedrooms. Two-car garage has indoor access near the kitchen.